Betting on the River - To Bet or Not to Bet? The River is a risky time to bet as there can be a lot of implications that must be considered, any opponent who has made a hand will be trying to get value out of the hand and opponents who haven’t made a hand may feel that the only way they can win the hand is by trying to get you off the hand by raising your bet. In any case you may be faced with tough decisions at this stage of the hand and it’s important to really understand river betting strategies. When you are betting on the river, you need to consider how the hand has played out and seriously consider the possible hands your opponent may have. 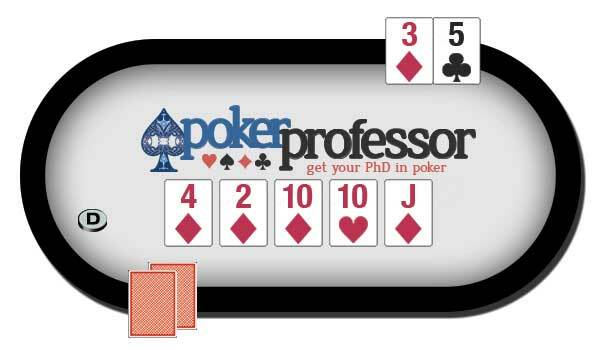 Think back to how the hand has been played by your opponents and try and work out what is the likely hand your opponent may have. Have they been calling your bets the entire way? Then they could have been on a draw, or a weak hand where they are not particularly confident, or of course they could be slow playing a monster. How you act really has to depend on the situation and how your opponent has acted in not just this hand but also previous hands. It also depends on the strength of your hand. If your hand is weak, or maybe nothing at all then maybe the only way you can win the pot is by putting a bet out to drive your opponent off the hand. If you are holding a medium strength hand then sometimes the best strategy is just to check, as in most situations the only time your bet will be called is when your hand is beat, so there really is no value to putting out a bet at the end. If you are holding a very strong hand or the nuts then you want to get the most value out of the hand as possible and how you play it will really depend on the type of opponent you are up against, and also the “story” you have presented during the course of the hand. In most cases you will be betting an amount that you think has a good chance that your opponent will call. Some percentage of the time you may try something a bit trickier where you try to represent that you are no longer confident of your hand and invite your opponent to try and take you off the hand and then go for a check-raise. Players with a good river betting strategy are the ones that really stand out as good poker players. It really shows that they understand the strength of their hand, the potential strength of the most likely hands that their opponent is holding and then take the appropriate action on the river. Let’s say your pre-flop cards are 3 5 and you find yourself in the un-raised big blind. The flop cards are 4 2 10 . Since you have a diamond in your hand you now have a flush draw, although it is a very weak flush draw. You also have an open ended straight draw. The turn card is a 10 , and this now makes your hand weaker because of the fact that it opens up the possibility of a Full House which would beat both your flush and straight draw. Lastly, the river card is the J . So you have made your flush, and now you are first to act and you need to make a decision whether to bet or not. This is one of those situations where it really is not advisable to bet. Any bet at this stage is only likely to be called (or raised!) by a stronger hand, either a higher flush, or someone who has the full house. Lets look at another situation, let’s say that your pre-flop cards are 9 and 10 . The flop cards are 8 K K . The flop has missed you completely but your in good position and are last to act and everyone has checked round to you so you can also check and get a free card. The turn is revealed and is a 9 . 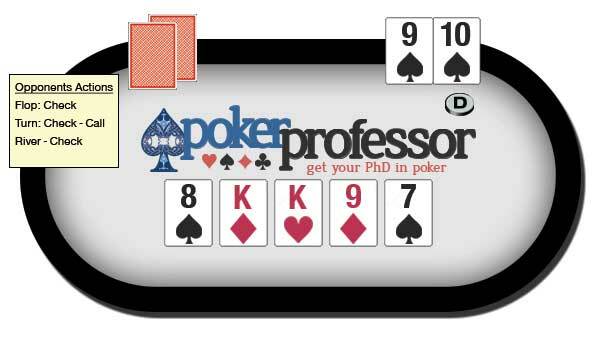 This eliminates the vague possibility you had of making your backdoor straight, but you now do have two pair, and there is a possibility at a Full House if the river card is a 9 or a K. Your two other opponents check once again and you decide to make a bet of half the pot here to try and find out where you are in the hand. One opponent folds and the other one just flat calls your bet. Lastly, the river card is laid down, and is a 7 . Your hand hasn’t improved and your opponent checks once again, so the decision now is whether to make a bet on the river. Scenario One: Your opponent could have a king and have three of a kind (or even four of a kind with pocket kings) beating you. It’s a very real possibility that this is out there since the betting patterns of your opponent would match those of someone who is trying to trap you and is planning a big raise on the river. Scenario Two: Your opponent could have pocket 9’s or 8’s or 7’s which gives him a monster full house with three 9’s / 8’s / 7’s and the two Kings from the flop. Once again this is a real possibility based on your opponents betting patterns. Scenario Three: Your opponent has made a straight, holding either an 5-6, 6-10 or 10-J. If you bet out here then it is more than likely your opponent will come back at you with a raise and you will be faced with a tough decision. Scenario Four: One of your opponents has an 8 or 7, which pairs with the 8s or 7s and the two Kings to make Two Pair. Now this is a situation that you would win with your higher two pair however an opponent may well not call a bet on the river if you were to make one here. Scenario Five: One of your opponents has a 9, which pairs with the 9 and the two Kings on the board to match your Two Pair. This would then become a fight of the kickers and whether your opponent holds a higher kicker than your 10 as to who would win the pot. This scenario again is not that likely as you already know the whereabouts of three of the four 9’s in the deck, but still a possibility. Scenario Six: One of your opponents had only the two Ks and was hoping the river card would improve his hand, which did not happen. In this situation an opponent is very unlikely to call any bet on the river that you make, so there is no value to making it. Out of all these scenarios, although you have a reasonable hand, there is a great deal of risk involved with making a bet on the river. Your opponent has checked to you and you have the option of taking an easy decision and checking to end the betting and eliminate any further risk, or you can make a bet and face the possibility of a raise from your opponent which will put you in a very awkward situation. Scenario 1 – 3 you are well beaten and will face a tough decision when they come back over the top of you. Scenario 4 – 6 are the only ones where your hand may stand up and win the hand, and in these scenarios the probability of your river bet being called is minimal. So as you can see there is no value in making a bet on the river here. You’re only going to force your opponent out of the hand if you already have him beat and you will only be called (or worse raised) by an opponent who is holding a hand that crushes you. So in this situation just check it out, and go to the showdown. The bottom line is that you need to perfect your own personal poker river strategy using common sense and rational like in the detailed examples above and based on the information that you gather on your opponents throughout the time you spend with them and in particular the actions they have taken in the current hand. This information pieced together will help you work out where you stand, and how risky a bet on the river is. Obviously in a time pressured situation it’s hard to break things down like we have above, but with practise you will be able to form this story in your head throughout the hand and be able to use it to arrive at decisions. There are only two real reasons to bet on the river. The first is to either to force an opponent off the hand with what is effectively a bluff if you think that you can get them to fold. 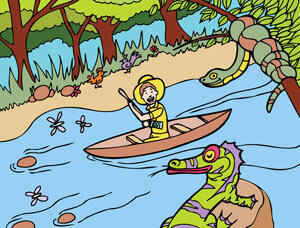 The second is to bet on the river for value because you are confident you have the best hand. If there is any doubt to either of these then a river bet may just be a bad play and it would be wise to back out early and avoid a bigger loss. Remember, skills like this come with practise. Over time if you try to use the information you have on your opponents actions and style then you will get better and better at narrowing down whether you are in a good situation or one’s that don’t quite feel right and that you should be acting with caution.